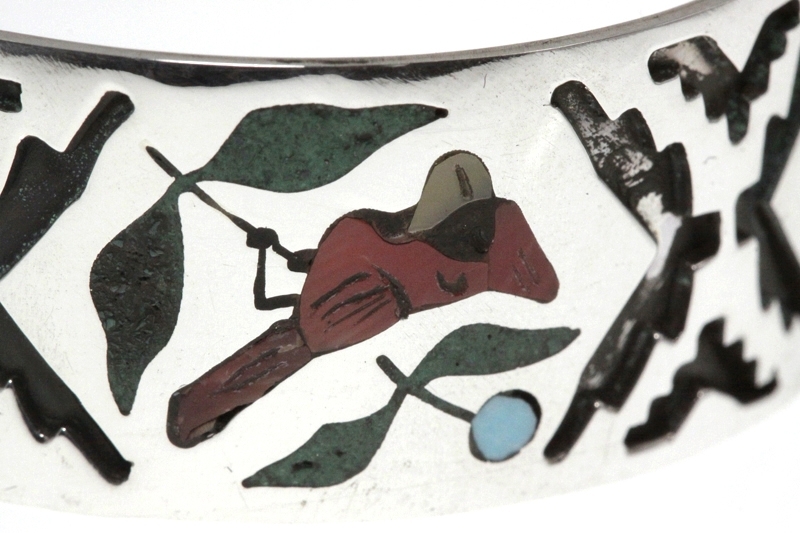 Etched inlay birds; Eagle, Blue Jay, Red Cardinal, Eastern Bluebird. Turquoise, red coral, black lip oyster, mother-of-pearl, jet, penn shell and malachite. The inside measurement is 6 3/4″ (including gap 1 1/2″) Bracelet can be adjusted gently and slightly.